In theory, it is possible that I could help clean fish….if I could handle a filet knife, if I could use my thumb to scrape out the innards…. My thumbs are just not strong…I said IN THEORY! I totally earned this bottle of wine..or so they named it! Gusty winds were blowing his newspapers around and his innards grocery sack ….. so I helped. I held the bag and watched every deliberate move in the cleaning of 5 trout. After the first announcement that this was a mama fish because of all of the eggs, I had to look. On fish number 3 I watched the gutting process…the fish actually rubbed against my wrist..a little red food coloring substance…. I looked in the bag and saw the heads with eyes looking at me. I swallowed a few times and made it through….by fish number 5, I thought if this is the worst of it…in Theory….I could do it. 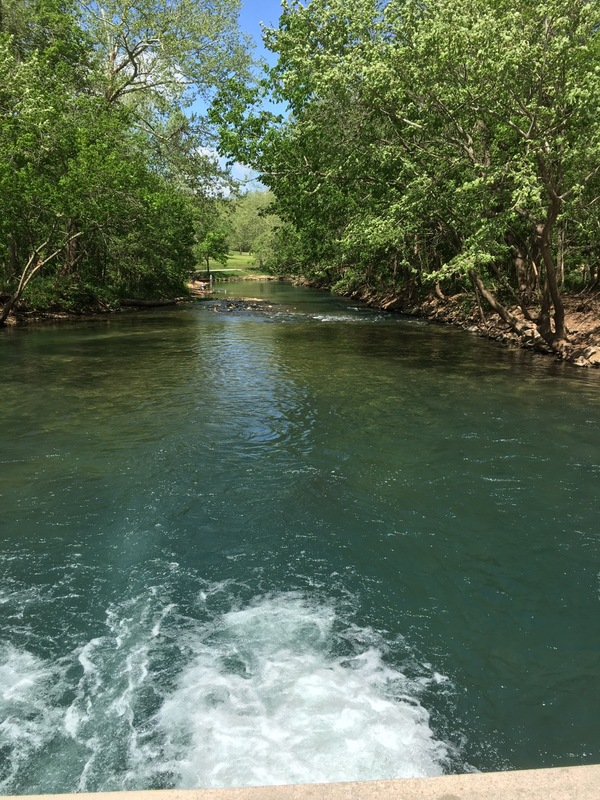 I leave you with another picture of the stream…closer to the outlet to the Niangua River. It really is paradise here. One time, my husband threatened to make me clean fish. I poofed him with baby powder. I thought it was funny. He did not. No amount of chocolate could compensate for such a disgusting task. You’re a better sport than I am. You didn’t waste the caviar did you? You’re supposed to have it on special crackers with champagne. 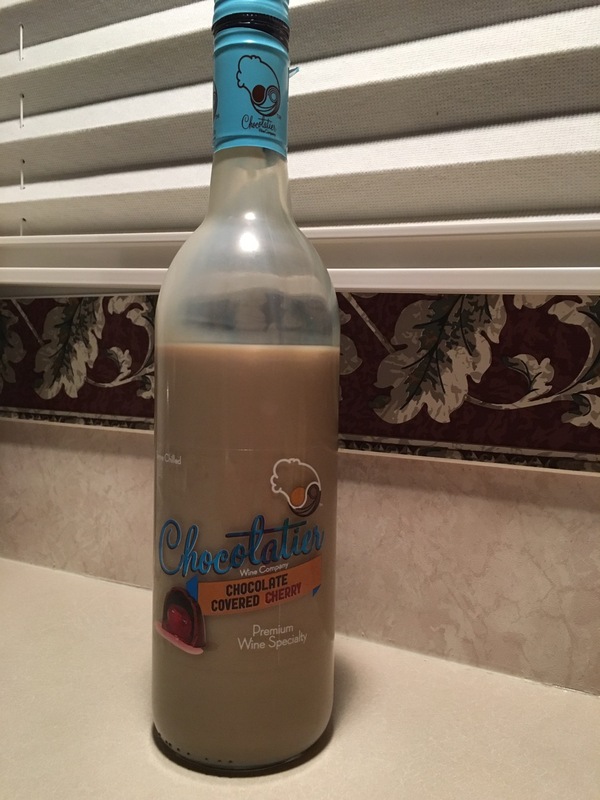 if you substitute the chocolate covered cherry wine for the champers, it would ad a whole new dimension of flavor. so have you fallen into a bag of fish guts? where are you? I’m good….just taking some mindless time off . I’ll take the stream but leave the gutting and fish heads/eggs to you. Oh, you are stronger than me! I remember my grandpa cleaning fish in a little hut by the lake that many of the fisherpeople used. It was not pretty. It is good that you could help him out. No…..it is not pretty!! I’ve been around a group gutting but never got up close and personal before.